The Costumed Horse Mouse is an Event Mouse found during the annual Lunar New Year event. With no sign of slowing down, you're gonna need some speed to catch up to this guy! Information on how to locate and capture the Costumed Horse Mouse can be found on the current Lunar New Year location page. 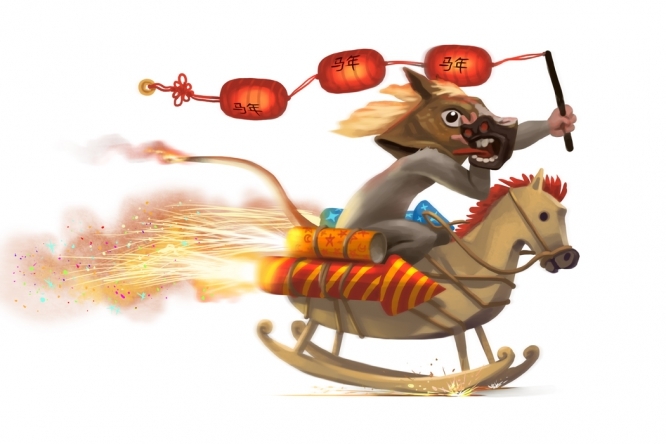 30 January 2014: The Costumed Horse Mouse was introduced on for the Year of the Horse Festival event. This page was last edited on 8 February 2016, at 21:03.